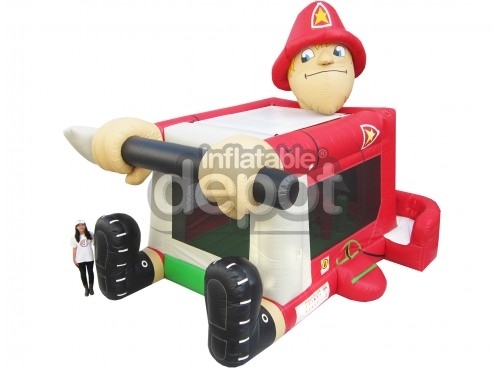 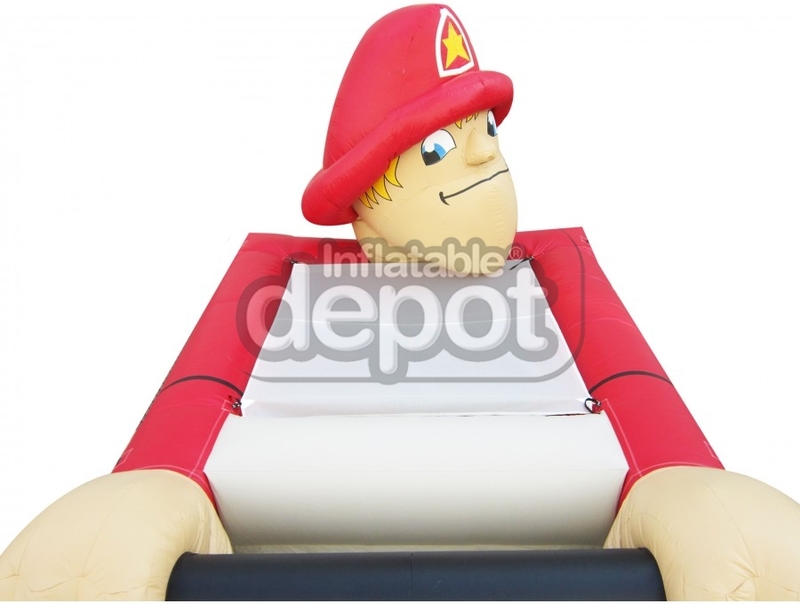 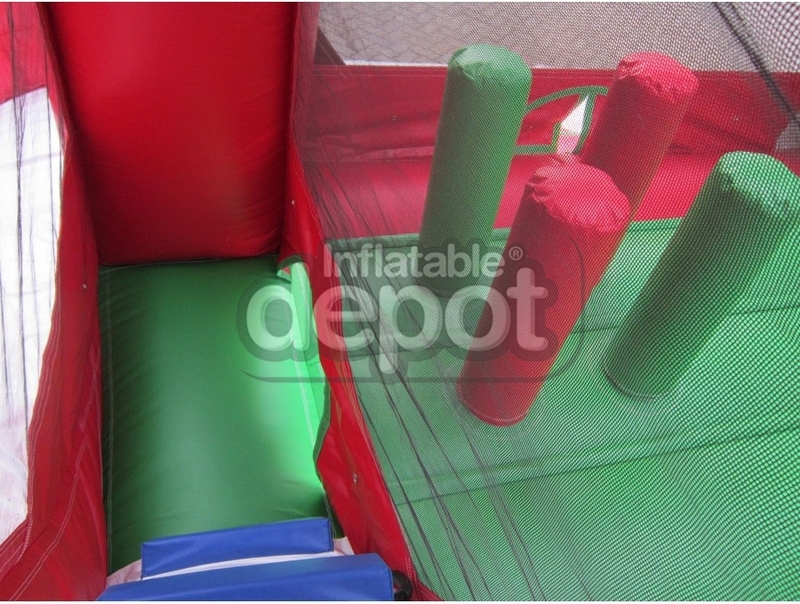 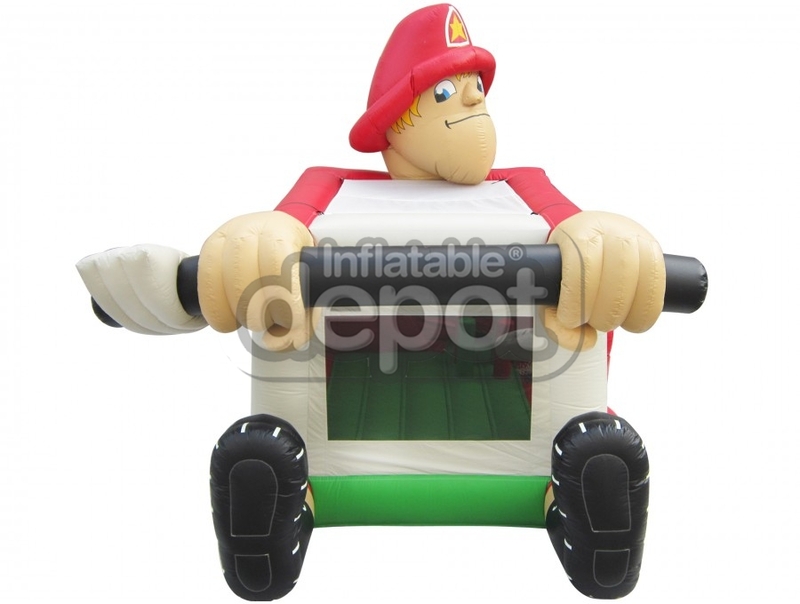 Foot Bouncers are Inflatable Depot's newest jumper family. 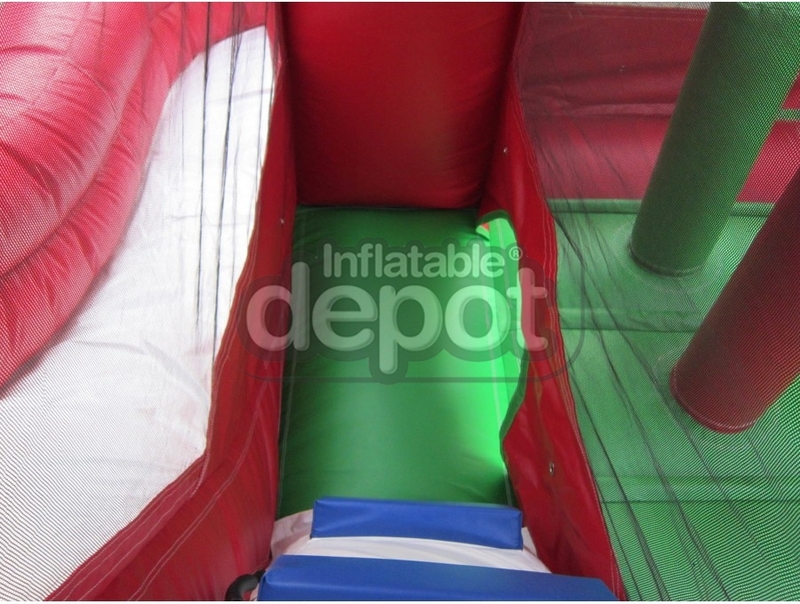 Our goal is to conceive attractive, affordable designs and here you can see the result. 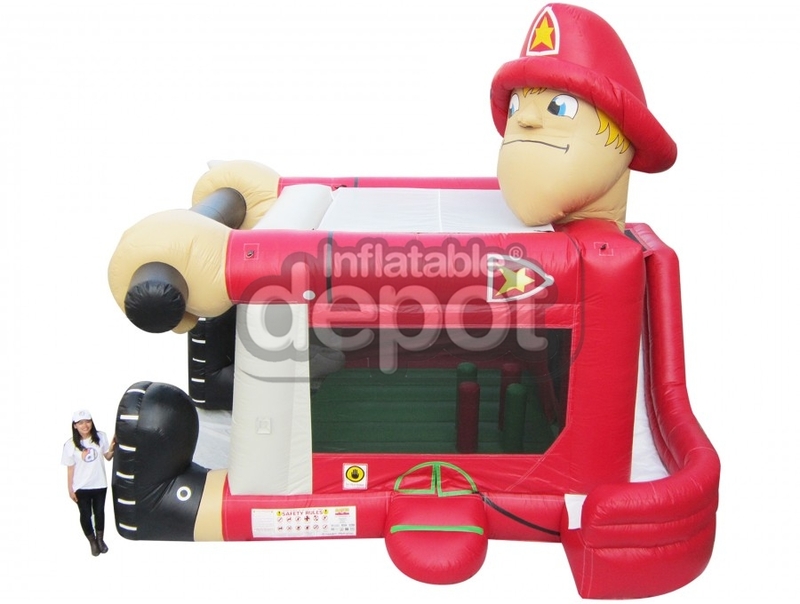 Now clients on a budget don't have to settle for ugly games! 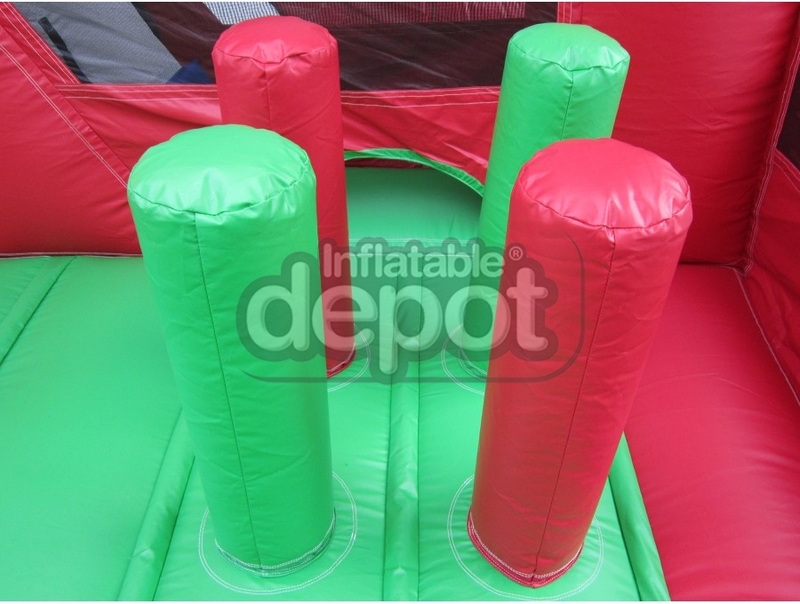 We have a great alternative so you can compete in the low-cost game range and offer your customers diversity and fun. 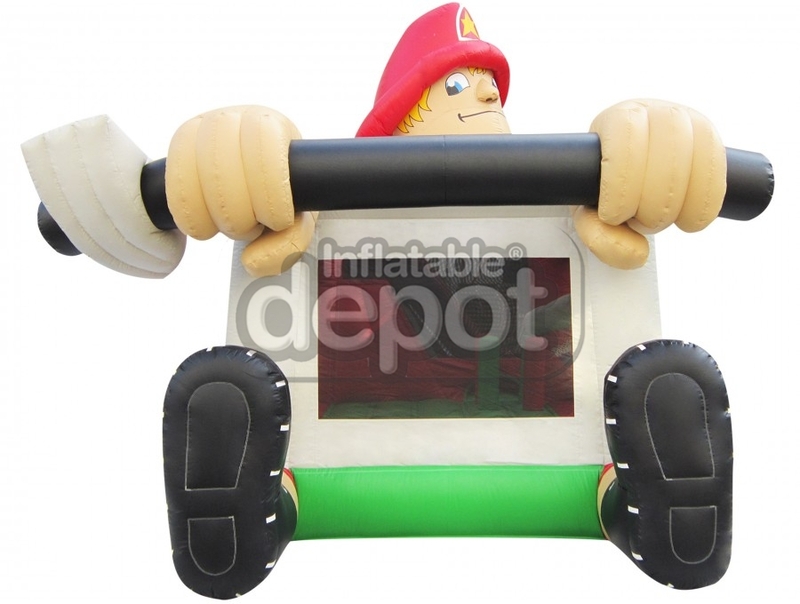 Seven designs are available (#140HD Foot Bouncer Frankie, #141HD Foot Bouncer Pirate, #142HD Foot Bouncer Caveman, #143HD Foot Bouncer Sheriff, #144HD Foot Bouncer Racer, and #146HD Foot Bouncer Monkey) and they all include a basketball hoop inside!